The Curiosity team announced on Tuesday that the rover is now considered to be in a “candy store” for future findings. The newest point of emphasis has been found at the lowest point of Gale crater in an area known as Yellowknife Bay. It is filled with a plethora of different materials that can only exist if there had previously been water. Finding this new source on the red planet is almost a complete accident that could be a gold mine of information. Initially the team was going to skip the area, but decided to take a detour before heading off to the original planned mountain site. That original trip to Mount Sharp could be delayed for months because of the recent findings. Drilling should start sometime in January and they are expected to drill 5 holes. These holes are only 2 inches deep, but the powder results should give NASA plenty of data to process. Drilling into rock has not been attempted on the current mission. “Drilling into a rock to collect a sample will be this mission’s most challenging activity since the landing. It has never been done on Mars,” said Richard Cook of NASA. Projects like this are discovery based and no plan is set in stone. If they find something of interest, plans will be delayed and formed around the new discovery. The Curiosity rover is the size of a smaller SUV. It measures 10 feet long, 9 feet wide and 7 feet tall. It has arms that reach out an additional 7 feet bringing the weight to 2,000 pounds. The mission was launched on November 26th, 2011 and is expected to be on Mars for 23 Earth months, which is equivalent to a single year on Mars. One of the primary goals of the Curiosity mission was to determine if Mars was once capable of sustaining life. This goal is key to starting the process of finding water on other planets and if there is life besides us in the universe. Is Earth extremely rare or just another life sustaining planet in the universe? This most likely will not be found during our lifetimes, but it is a major start with finding proof of prior life on Mars. 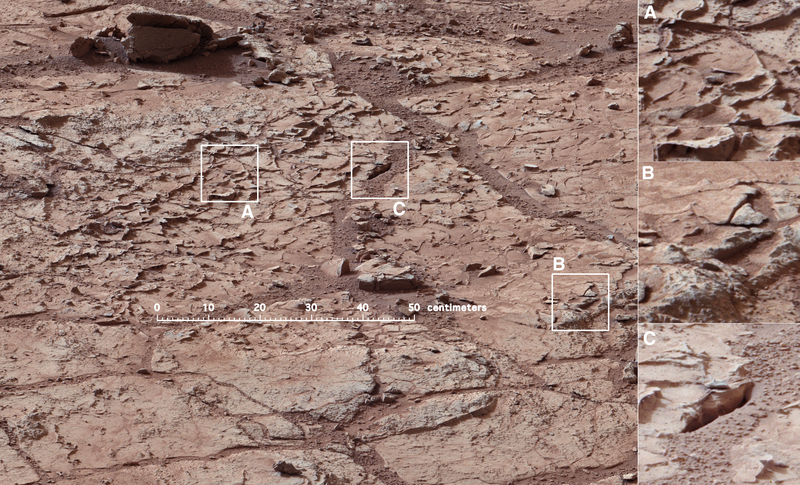 You can follow the Curiosity on a site setup by NASA. NASA’s Curiosity rover dusts off a rock on Mars for the first time.